Is Your Business Name Protected by a Trade Mark? Some people mistakenly believe that registering a company name or a business name will protect it from use by a competitor. But, is registering a company or business name the best way to protect the name of your business? In general, the answer is ‘no’. This blog is about what steps you can take to protect your business name (or a deceptively similar name) from being used by a competitor. The answer lies in trade mark registration. ry under the Business Names Registration Act (Cth) 2011 for a person carrying on business in Australia under a business name to register the business name with ASIC). Registering a business name may assist you to assert a ‘common law’ claim over that name, but it can be a difficult and costly process to assert that right at common law. 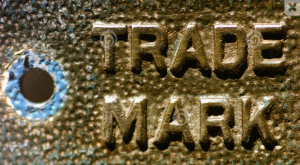 Before registering a company or business name, it is good practice to check the trade marks register to ensure that you will not be using a name that is already a registered trade mark owned by someone else. If it is already a registered trade mark and you register the same or a deceptively similar name to the trade marked name, you may be infringing someone else’s trade mark. In general, the best way to protect your business name is to register it as a trade mark with I.P Australia. According to I.P Australia, ‘a trade mark is a way of identifying a unique product or service.’ A trade mark can be used to distinguish your product or service from a product or service of your competitor. A trade mark can consist of ‘letters, numbers, words, phrases, sounds, smells, shapes, logos, pictures, movement or type of packaging’ or a combination of those things. For example, you can apply to register a business name, logo, tag line or all of the above as trade marks. The name of your business is one way your customer can identify who you are in the market and to distinguish you from your competitors. It is therefore important to protect your business name by applying to register it as a trade mark. Upon registration of a trade mark, that trade mark becomes your property and allows you exclusive use of the trade mark during the registration period (as long as there are no objections to the ongoing registration of the trade mark). In the event that a competitor tries to use your trade mark or a trade mark that is deceptively similar to yours, you have a legal right to request that competitor to stop using it and if need be, take action for trade mark infringement. Another advantage of registering a trade mark is that it is an asset which can be sold, licensed or dealt with in a similar way to other forms of property. It can therefore become valuable in the right circumstances. 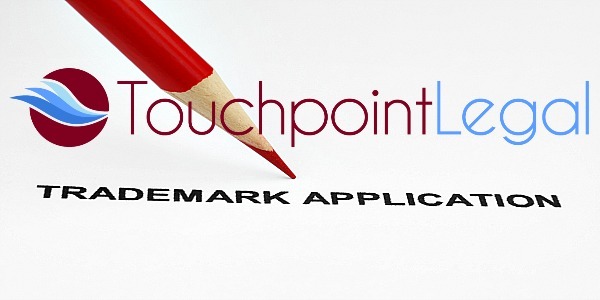 If you would like more information about trade marks, contact Touchpoint Legal on 02 8005 0692 or click here to arrange your free consultation about how we can help you. This blog is for information purposes only, does not constitute legal advice and should not be relied upon as such. If you require legal advice please contact us or another registered legal practitioner. Limited liability by a scheme approved under Professional Standards Legislation. Solicitors employed by Touchpoint Legal Pty Ltd (ACN 611 758 279) t/as Touchpoint Legal are members of the Scheme. Angela Stackelbeck is a Legal Director at Touchpoint Legal. She has practised law in Sydney in large corporates and private practice, for over 20 years. Angela's broad experience allows her to uniquely offer the dual benefit of practical legal expertise gained in private practice and commercial pragmatism learned from the in-house environment. You can contact Angela at angela@touchpointlegal.com.au or on 02 8005 0692 or 0404 872 644. Touchpoint Legal is a business law company committed to providing high quality services to our clients. We have a passion for commercial, I.T and privacy law and for helping our clients to achieve a solid legal foundation to grow their business. We understand that every business is unique, and we tailor our legal solutions to meet your needs. With us, you deal with a senior lawyer who delivers customer focused services on time. Call us on 02 8005 0692 to discuss how we can help you.